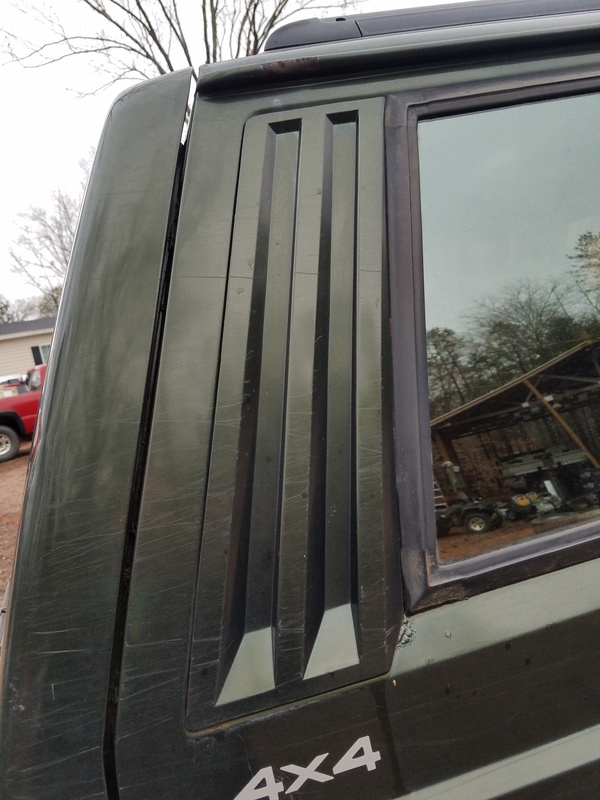 97-01 XJ 2-Door C-pillar vent. Passenger side has some lite scratches but nothing that wouldn't clean up. 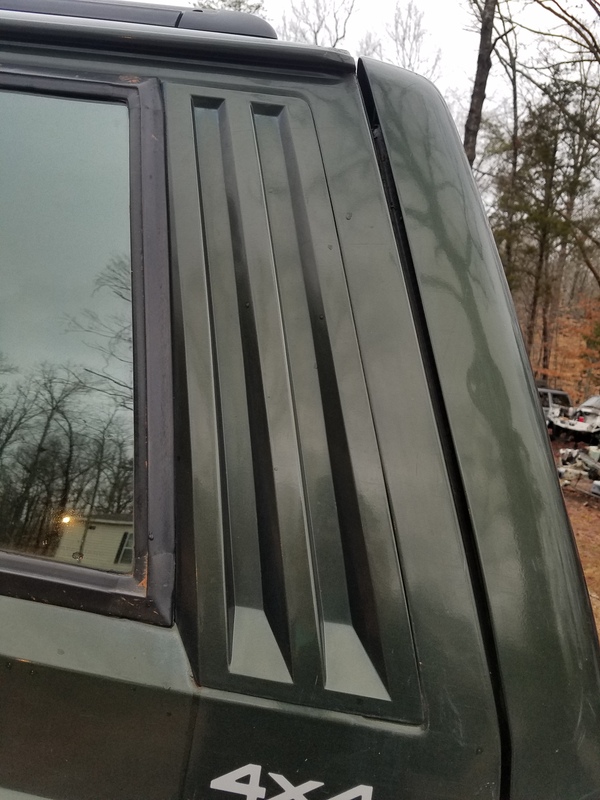 Vent Off, AC off, smelly hot air through window vent and defrost - heater core? non vent windows to vent window swap?